BAKU, AZERBAIJAN. 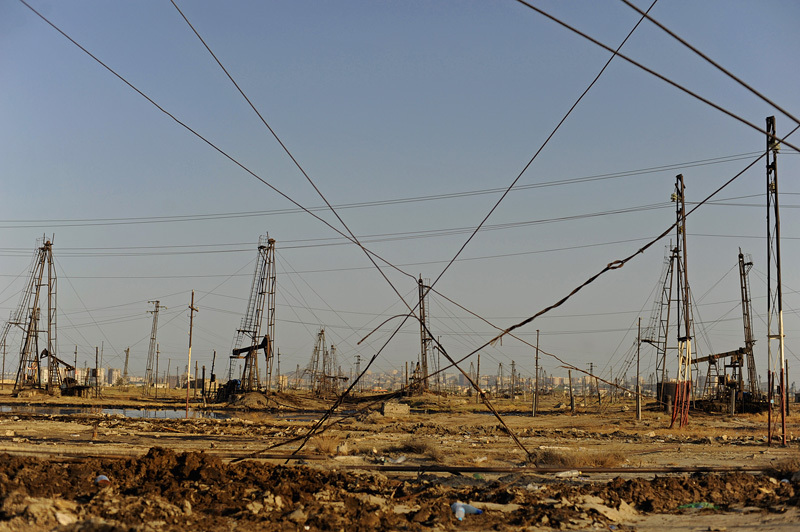 The Balaxani oil fields, one of the earliest oil discoveries in Azerbaijan and the most polluted area on the Absheron peninsula on the outskirts of Baku, with the high rise developments of Baku's booming city center in the distance on July 5, 2010. Several thousand families, many refugees and internally displaced, live in Balaxani.